Design a concept for a dynamic media façade that can be used to build up a sustained relation to a civic theme or challenge through everyday participation - with a focus on creating an immediately engaging interaction that activates people sensuously and emotionally and affectively to contribute to this theme through user-generated content. This brief was issued by the Media Architecture Biennale in a 24 hr Design Challenge. 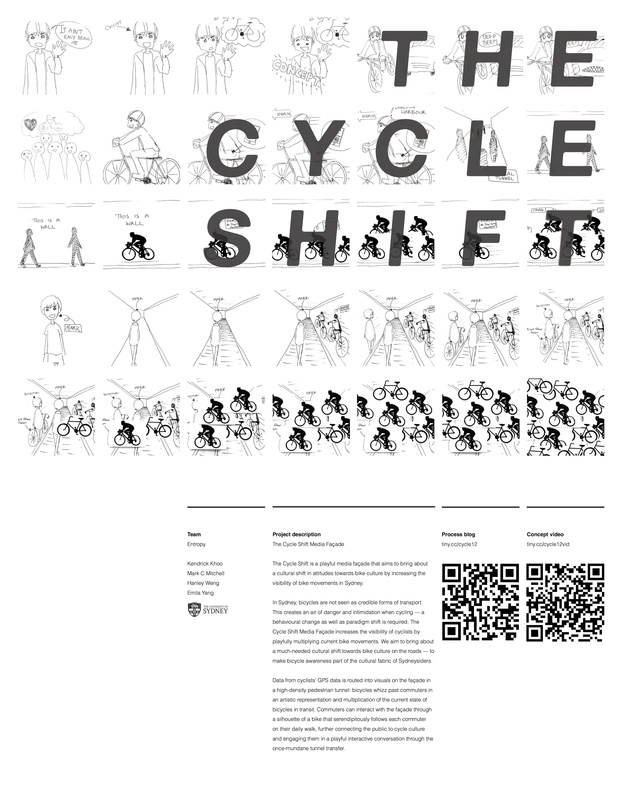 The Cycle Shift is a playful media façade that aims to bring about a positive cultural shift in attitudes towards bike culture in Sydney. 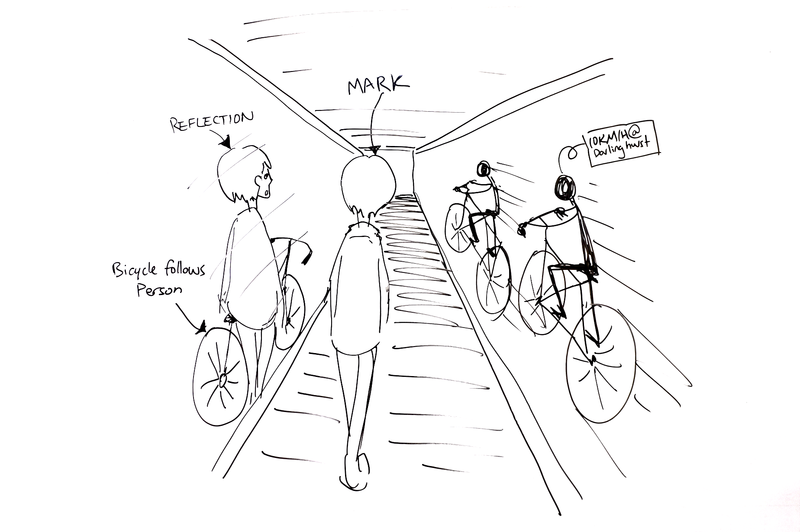 by increasing the visibility of bike movements. After defining the brief and conducting initial research and moodboarding, we set out our design process with the use of some low-fi-cardsorting. Following this we grabbed lunch and a few beers, whilst we locked down our problem domain through the definition and discusion of civic themes and challenges, wanting to make sure we addressed a civic challenge specially targeted to our locality. We conducted user interviews, summarised them and evaluated the state of cycling in Sydney, along with it’s action plan. Following this was intensive research, conceptual brainstorming, and synthesis of our idea. Finally we storyboarded, filmed, and wrote up our final concept. This jam enforced my fondness for 24 hr jams even more. It’s always fun collaborating in a team with different methodologies, skills, and goals. No matter what happens in a jam, there’s always something at the end and much that has been learnt. There were many great groups and awesome concepts in the competition. 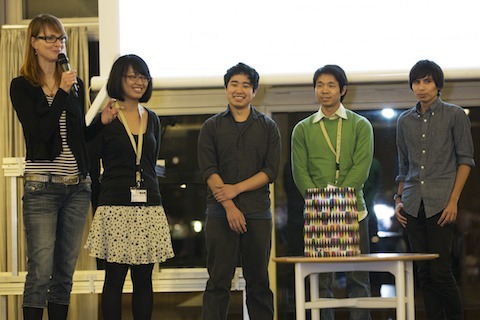 We were honoured to win this jam and travel scholorship to present our work, which also served as a great excuse to go travel around Europe for a few months celebrating the end of our University of Sydney undergraduate degree.